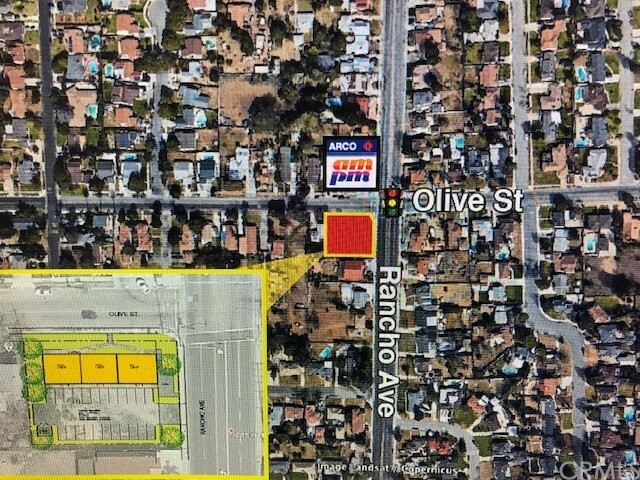 Commercial Prime Corner Lot located in Signalized intersection of N Rancho and Olive St. High visibility, High traffic location . Flat lot ideal for strip center . Utilities on the street ,and neighborhood is under served. Build approximately 3700 sq. ft retail/fast food center .Excellent access to 10 and 215 freeways. Matthew Arfa, AMS Holdings, Inc.